Hebrews 11:6 talks about diligently seeking the Lord and our host Austin Garrett talks about how that means to crave God. He asks the question "If your house was on fire what one thing are you going to take?" and admonishes us to evaluate our priorities and find our purpose in the work of God. Click the "Play" button above to listen. You can also download the file to your computer. Pastor Jeremy Shields of Starks, Louisiana is the guest for our first edition of Road Trippin'. In this episode, host Austin Garrett chats with Pastor Shields as they are driving and gleans some inspiring stories of the miraculous power of God. Pastor Shields also shares some humorous moments from his life. We hope you enjoy listening in on their road trip conversation.  Psalm 69:9 is the launching point for today's topic in this inaugural episode of Living On Fire. Host Austin Garrett challenges us to live on fire for God and to burn with a holy zeal. Click the "Play" button above to listen. You can also download the file to your computer.